Since Nov. 3, Air France has offered upgraded meal service for business-class passengers on its Paris-Haneda route. A choice of cold appetizers or warm vegetable soup that includes pumpkin, potatoes and peas is now available. There are six types of entrees created by Guy Martin, owner and chef of Le Grand Vefour, that are available on flights departing Paris until Dec. 31. The meals are arranged and prepared individually by cabin attendants who have trained at a school run by famous French chef Paul Bocuse. Passengers can also select between a Japanese breakfast of fish, vegetables and rice and a Western breakfast of an omelet, ham, sausage and croissants. In addition, the airline has launched a service where passengers can order any food from the light food menu after the first food service is over up until 90 minutes before landing. 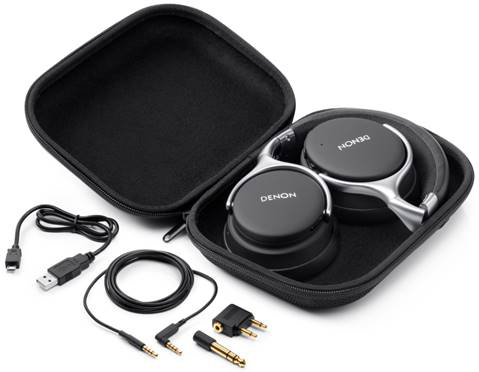 Turkish Airlines is collaborating with Denon, one of the world’s highest-quality audio and home entertainment systems manufacturers, to provide business-class travelers on America-bound flights with a comfortable set of headphones. 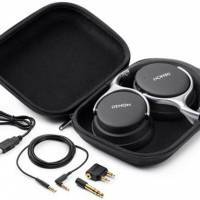 Phenomenally comfortable even for long periods of usage, the headphones are able to deliver perfect sound while minimizing 99 percent of ambient noise. The headphones can also be purchased on the airline’s Shop&Miles website using miles accumulated through their reward program. In addition to this brand-new audio experience, Turkish Airlines will also provide business-class passengers on flights that do not have rear seat screens, as well as on trips that last more than 2.5 hours, with a Samsung Galaxy S2 tablet. As its last technological addition, the Turkish carrier has updated its mobile app to further enhance the passenger flight experience. With the update, passengers can add flights, reissue tickets, cancel reservations, add infant passengers and upgrade tickets to business class on their smartphones or tablets. Cathay Dragon rebrands Dragonair officially rebranded itself as Cathay Dragon on Nov. 21. The brand conversion process started earlier this year following an initial rebranding announcement in January. The most visible change to date has been the progressive introduction of the new Cathay Dragon livery, which includes the iconic Cathay “brushwing” logo. The rebranding, however, encompasses far more than simply a new name and look. It will introduce both airlines to a wider audience, from the growing inflow of overseas passengers who are more familiar with the Cathay Pacific brand, to the increasingly large numbers of Cathay Dragon passengers from China who seek the convenience and assurance of an internationally recognized premium airline with global connectivity. Cathay Dragon has been a wholly owned subsidiary of Cathay Pacific since 2006. Over that time the two airlines have built up significant synergy, and have improved their customer products substantially with a view to greater brand alignment.